Mastercard has thrown a sponsorship behind one of the most popular e-sport games, League of Legends. We think finance people should pay a little more attention to next-gen attention machines, and competitive video games are a black hole for user growth. As symptoms, we point to the $1 billion acquisition of Twitch by Amazon, or the $400 billion market cap of Tencent with an $18 billion revenue run-rate from its game division. 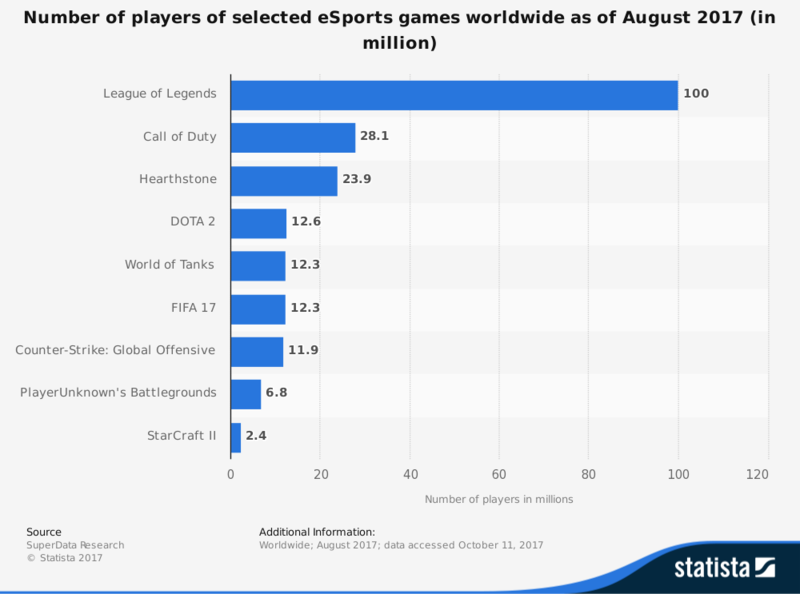 Further, e-sports are growing massively as an audience aggregator, with over 300 million people globally. Some events (e.g., League of Legends finals) command 40 million concurrent viewers, larger than many traditional sporting events (e.g., 20 million for the NBA finals). Perhaps not surprisingly given the Tencent example, over 50% of that attention comes from Asia Pacific. What does this sponsorship really mean? As far as we can tell, it's a combination of (1) banner branding during the games themselves, and (2) creation of rewards related to the video game in Mastercard's Priceless program. Rewards include behind the scenes access, preferred live stadium seating, and the chance to test-drive computers used by the "athletes" at the World Championships. To be eligible for these scarce experiences, users have to input their Mastercard information as a payment rail directly into the League of Legends game platform. What is there to purchase inside such a video game? Usually cosmetic upgrades and other microtransactions -- $1 billion worth of revenue for League of Legends. Going back to the Asian fintechs: video games are a gateway to messaging, messaging is a gateway to payments, payments is a gateway to banking, savings, lending, and investments. In addition to those watching these games, there are also 200 million active players in these ecosystems, all of which could become a Mastercard user. Further, starting at the attention end locks people into a brand that they actually like, rather than tolerate. That's why entrepreneurs have been trying to "gamify" finance, not "financialize" games, though such financialization is now happening through tokenization and cryptocurrencies. The last bit we'll leave you with is that Chinese regulators think video games to be such an addictive and powerful vector, that they are working on laws that limits time spent and number of new titles released. A freeze on new release approvals has wiped out over $100 billion from Tencent's marketcap. Older PostROBO ADVISOR: Are robos managing $1 trillion of digital wealth yet?